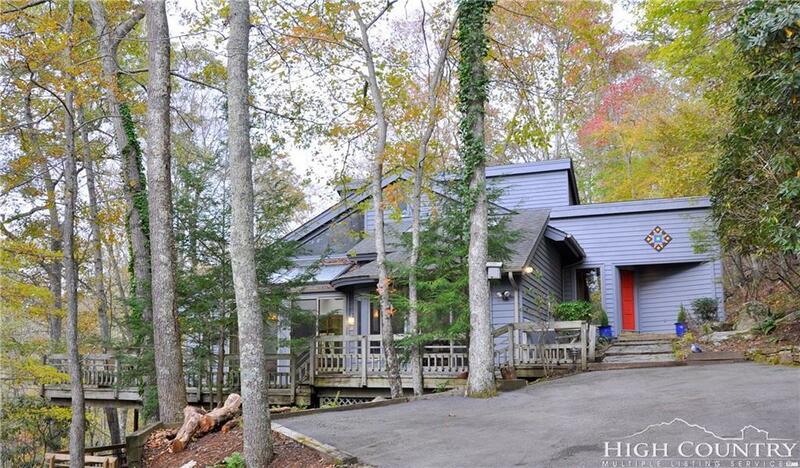 CONNECT WITH NATURE in this Valle Crucis, tree top retreat. 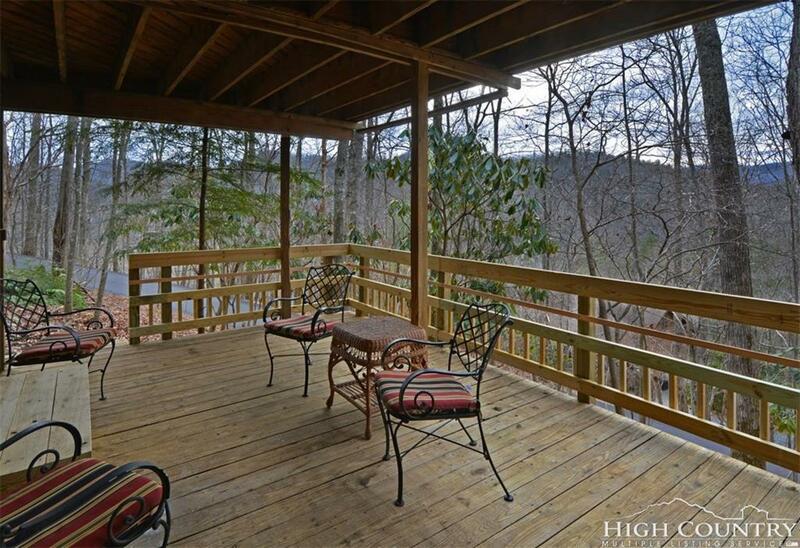 Tucked in Hickory Ridge community on 2 acres with multiple decking to enjoy the birds and seasonal Blue Ridge mountain views. 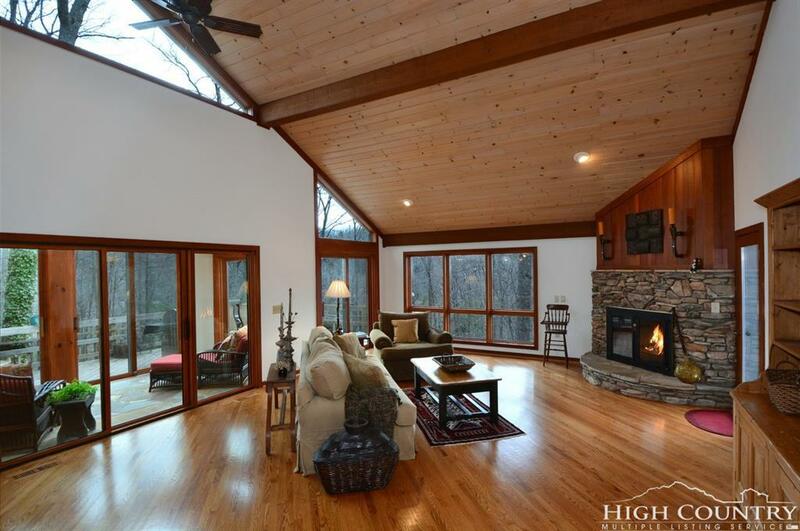 Designed by local architect, David Patrick Moses, this home has an abundance of natural light with accent windows showcasing views and trees. 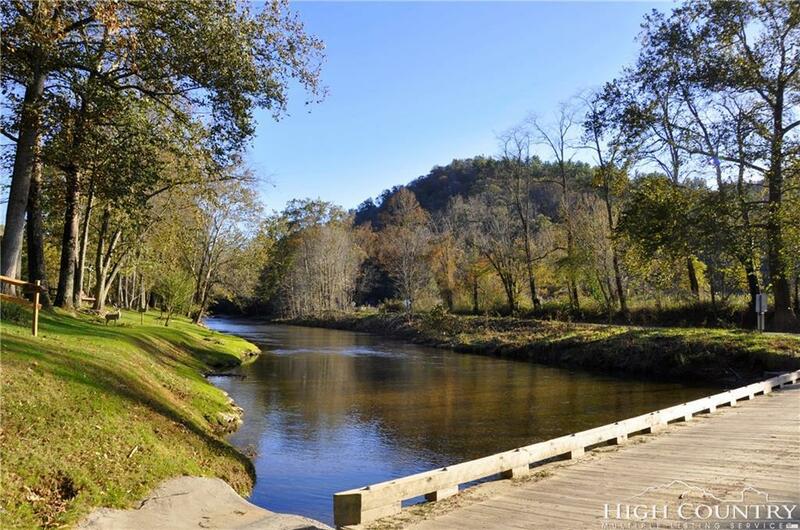 Walkable to the Watauga River and minutes to Mast General Store, Valle Crucis Park and Boone. Modern and well considered updates, eat-in kitchen island and dining area opens to sunroom and spacious living room with stone fireplace. The main floor offers a remodeled kitchen, 2 bedrooms, 2 updated baths and laundry. The upper level has bedroom, bonus room, updated bath and Loft for flex space. Spacious lower den has cozy woodstove plus bonus room, updated bath offering multiple living areas for family and guests. Would make a great primary or 2nd home with strong rental potential. Listing provided courtesy of Michele Mccubbins of Coldwell Banker Blair.